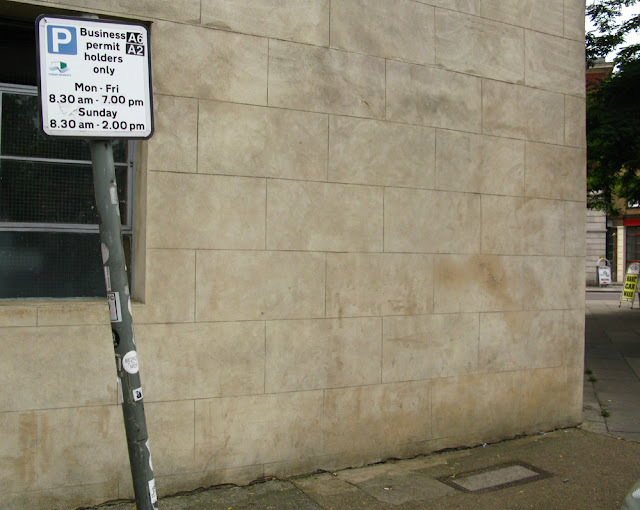 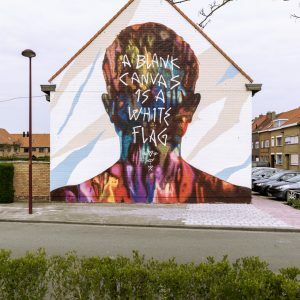 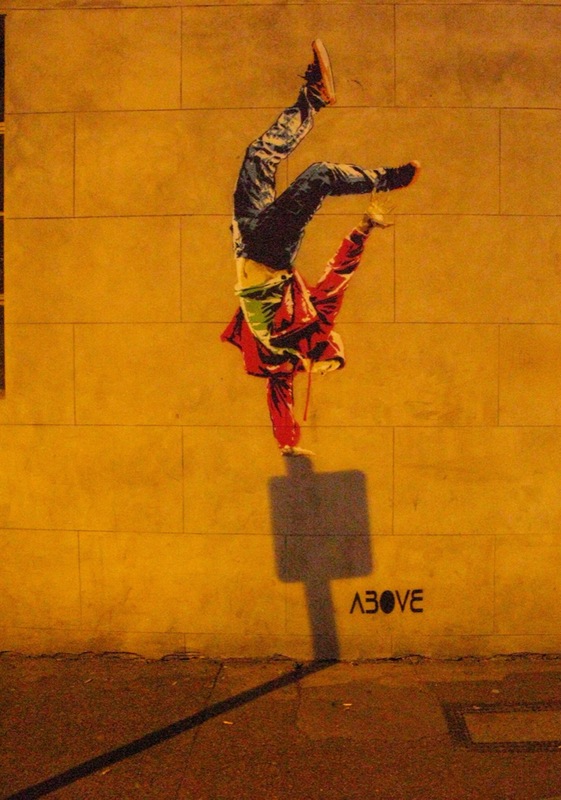 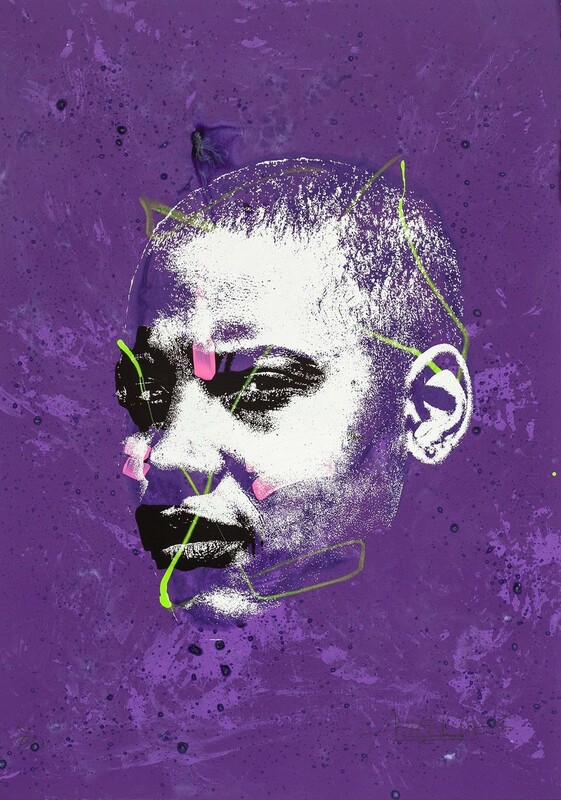 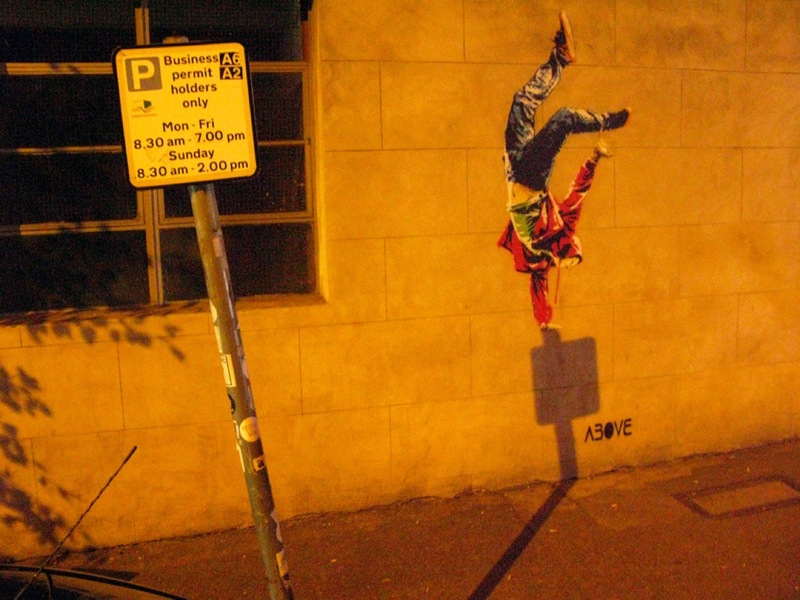 ABOVE is currently in Europe where he just painted this site-specific stencil entitled “Timing Is Everything” on the streets of East London, UK. 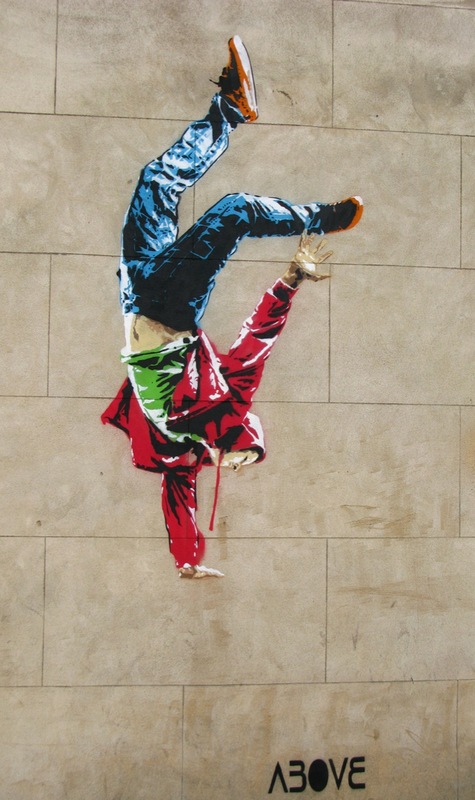 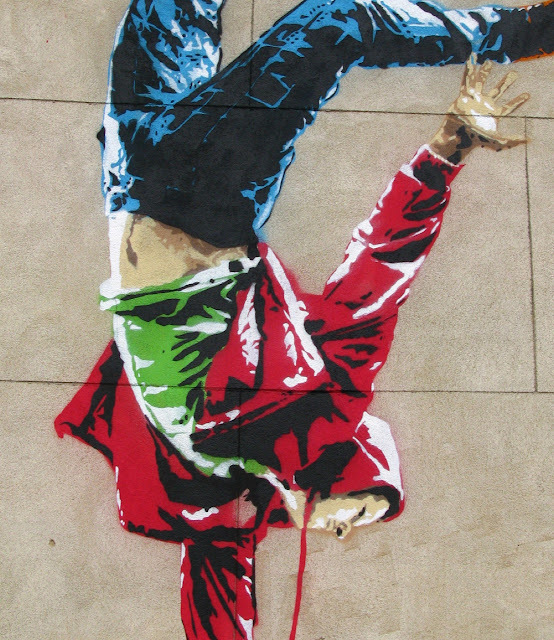 This multi-layered stencil has taken the artist about 7 months of searching the streets at night to find the perfect sport to drop his breakdancer. 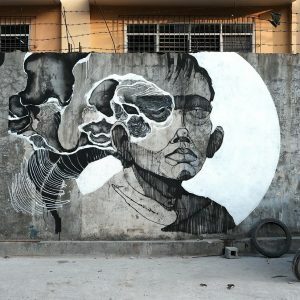 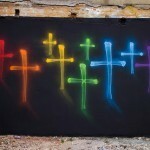 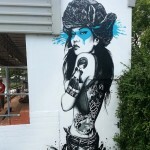 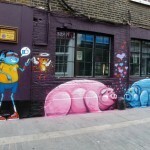 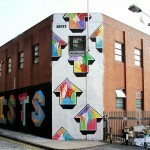 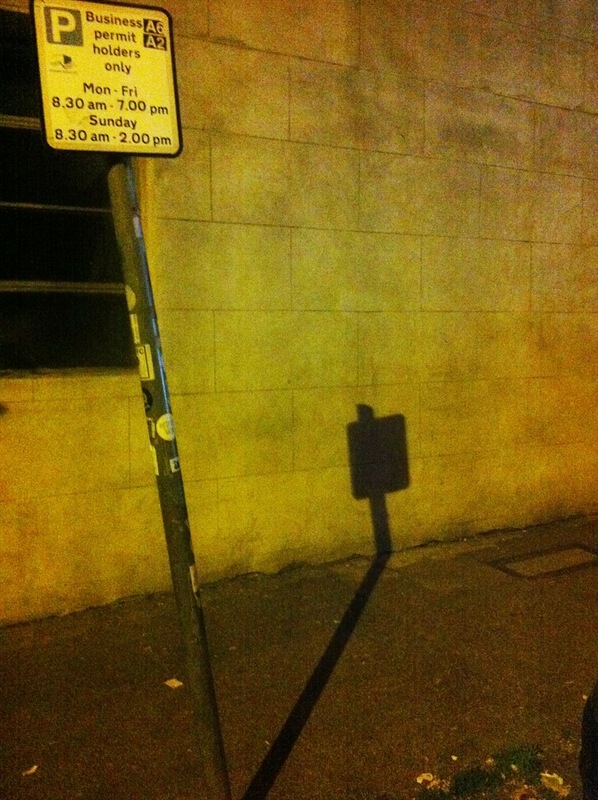 Take a look at some extra angles after the break and then stick with Street Art News for more updates from ABOVE soon.